The Sarasota J. McLaughlin store hosts a celebration for Pirman Dec. 11 to benefit the Sarasota Architectural Foundation. Sarasota-based illustrator John Pirman, who creates the delightful monthly “Only in Sarasota” images for Sarasota Magazine, has branched out into fabric design with the launch of a limited-edition collection of holiday women’s T’s for J. McLaughlin. 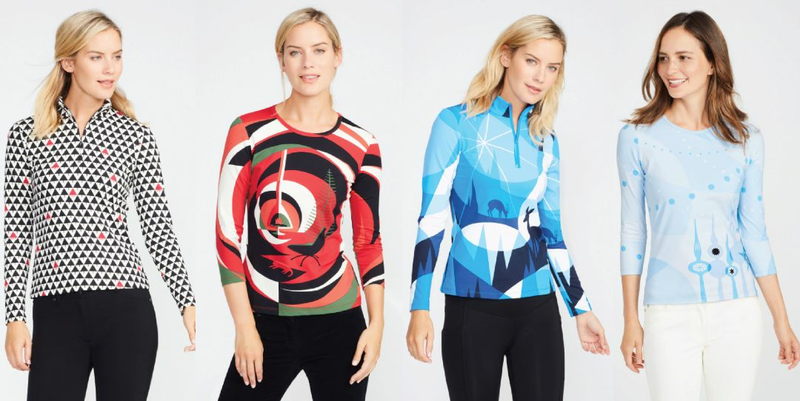 Four tees featuring Pirman’s colorful designs launched in early November in more than 100 J. McLaughlin stores nationwide, including the one at 1503 Main St. in downtown Sarasota, which will host a celebration from 4:30 to 7:30 p.m. Monday, Dec. 11. Pirman will be there to talk about his work, and 15 percent of sales will benefit the Sarasota Architectural Foundation—an organization he supports with his illustrations of many of the area’s Sarasota School of Architecture residences. The SAF connection is fitting, too, since Pirman met company co-owner Kevin McLaughlin at an SAF-sponsored pool party at the Paul Rudolph Umbrella House, and the partnership blossomed from there. The four fabrics Pirman designed for the collection have what he describes as a “modernist contemporary” look—including a bright coral, black and green tee emblazoned with an Eames chair. They’re all based on the iconic holiday cards he has designed for the Museum of Modern Art since 1998—a project that, over the years, gained him media attention from House & Garden magazine and NPR. 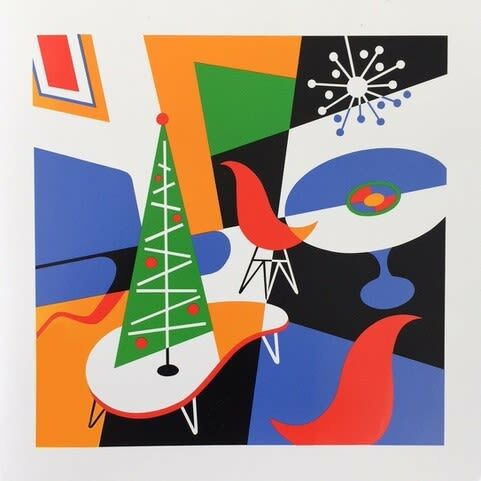 An early holiday card John Pirman designed for the Museum of Modern Art. Next up for Pirman and J. McLaughlin in 2018 is a line of men’s swimwear he’ll be designing. And here’s a brief video of the illustration he recently created for New York’s One World Observatory at World Trade Center; it’s from a video screen in the building’s lobby advertising the observation deck’s Winter Wonderland show.